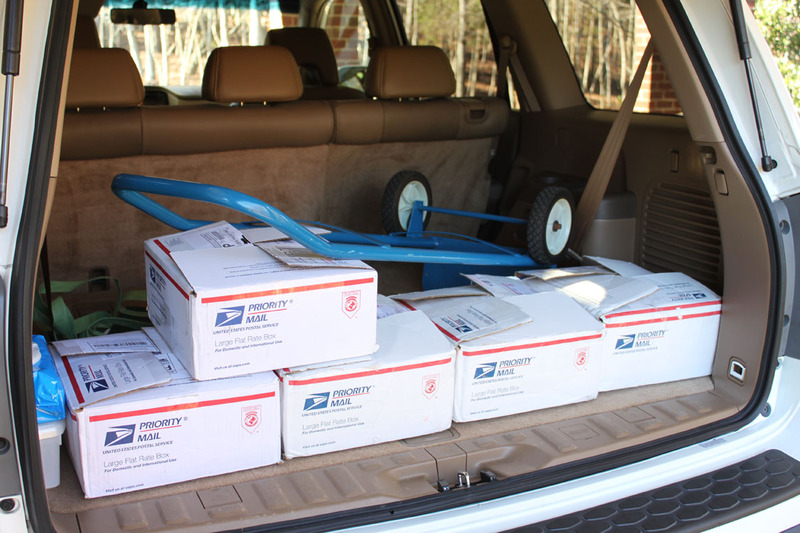 It was another slow week for our OWH shippers...7390 cards were received and processed. But - we're expecting an influx as the end of the Spring Thaw Challenge nears - be sure to get your box in the mail quickly, they have to be received on or before Monday to get you into the drawing! Request: If you're sending in AnyHero mail, it should have notes inside it; we aren't in need of blank AnyHero notes. Patriotic cards are fine, but if it says "Thank you for your service" on it, please jot a note inside, thanks! Repeat announcement: Our first OWHtv broadcast is next Thursday, 6:30pm PST - mark your calendar! 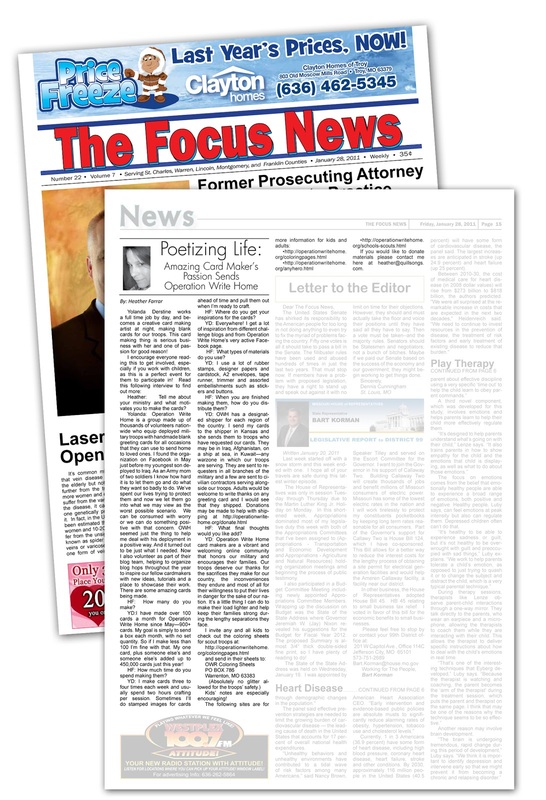 Reminder: Be sure to sign up for our Email Newsletter list! We've got a new video coming out Tuesday and you won't want to be the last to get the link....it's got music titled "Biker Chicks"....how's that for intriguing! Thank you to all who sent in cards this week! You ROCK! Post office is closed today. 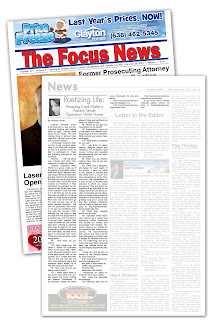 Our enewsletter is going to be coming out on the first of March - Be sure to sign up right away! with a cool video entitled "Biker Chicks" informally! lol. Our Facebook fans got to pick the music, just by the title. Maybe next month the OWHtv viewers will help out with the video! OWHtv? Did I just say OWHtv? Yep! Every Thursday night - more info here! Here's a quick opportunity to get the word out about OWH to people with big hearts! The MIKE program is holding a fundraiser event, and asked if OWH would provide cards for their gift-packs for attendees. 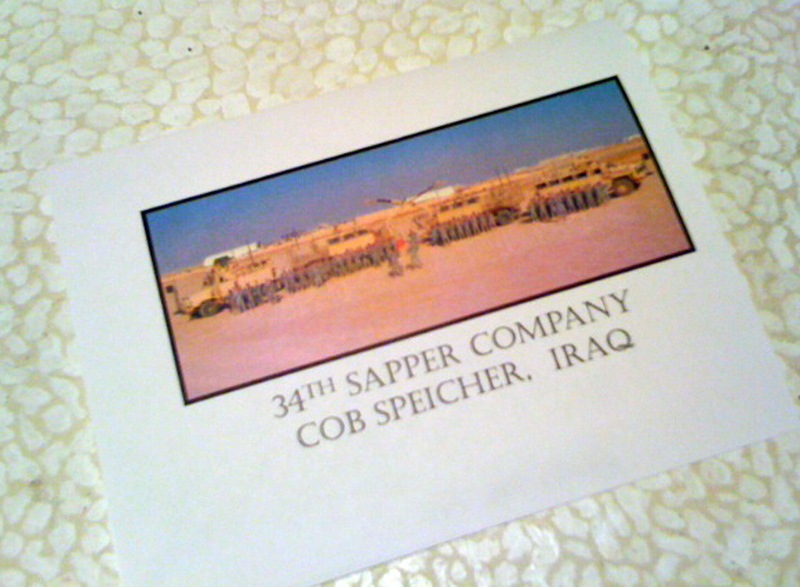 Our business card will be in each one, and we'll be on their program and other materials too. It's a wonderful chance to be 'seen' by people who are coming to give their money away. 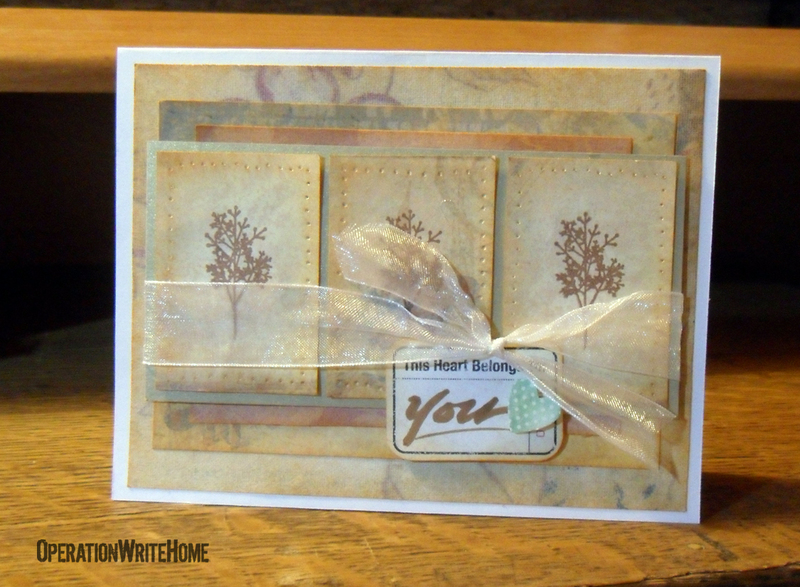 *wink* Who knows, there may be future OWH cardmakers and donors in attendance! Make them your best work to represent us well!, thanks! OWH? On television?? DUDE, really?? Okay, not really. Not that kind of tv. It's the internet's version of tv....and it's pretty cool! No webcam or mic is needed by you - you can view it, and if you're there during the live taping, you can chat once you sign up for a free ustream account. If you want to join in on our next kicking-the-tires test run, be sure you're home on Saturday, February 19th, 1-3pm PST (that's 4-6pm EST)....you can come for just a short bit, but I'll be hanging out a couple hours and playing with the poll feature that I just installed. You might even get a Copic coloring lesson too. :) Join in the fun! Sorry everyone, but due to computer issues, the Thankful Thursday post will hopefully be done Thursday evening. The computer went to the hospital overnight and is supposed to be back later on Thursday. I'm baaaack! Fortunately it wasn't too long of a time in the computer hospital. 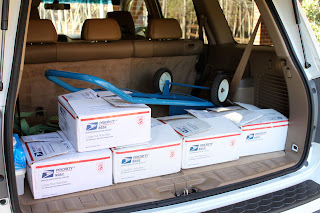 :) All better.....in time to tell you our shippers received 10,117 cards in the last week! THANK YOU everyone!! Big hugs all around! Cardmaker Yolanda, who blogs at Imagine Make Share, was interviewed in her local newspaper. Click on the image, I hope it's big enough when enlarged so you can read it! 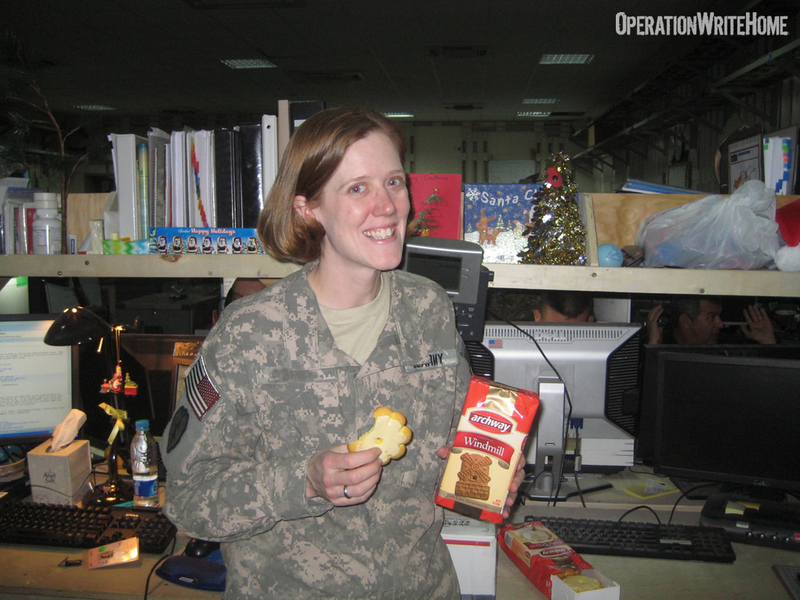 Yolanda Derstine works a full time job by day, and becomes a creative card making artist at night, making blank cards for our troops. This card making thing is serious busi- ness with her and one of pas- sion for good reason! Heather: Tell me about your ministry and what motivates you to make the cards? 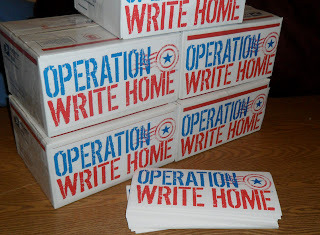 Yolanda: Operation Write Home is a group made up of thousands of volunteers nation- wide who equip deployed mili- tary troops with handmade blank greeting cards for all occasions that they can use to send home to loved ones. 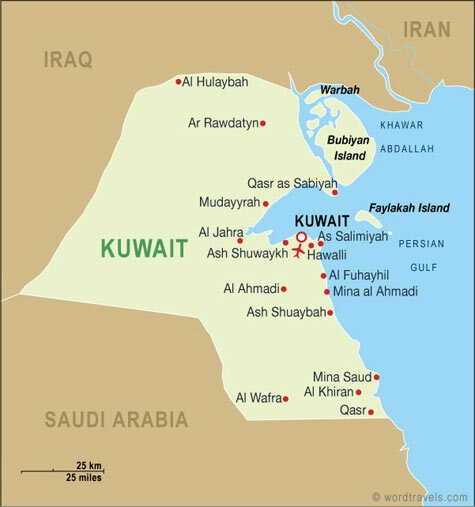 I found the orga- nization on Facebook in May just before my youngest son de- ployed to Iraq. As an Army mom of two soldiers I know how hard it is to let them go and do what they want so badly to do. We’ve spent our lives trying to protect them and now we let them go into what we may view as the worst possible scenario. We can be consumed with worry or we can do something posi- tive with that concern. OWH seemed just the thing to help me deal with his deployment in a positive way. And it turned out to be just what I needed. Now I also volunteer as part of their blog team, helping to organize blog hops throughout the year to inspire our fellow cardmakers with new ideas, tutorials and a place to showcase their work. There are some amazing cards being made. HF: How many do you make? 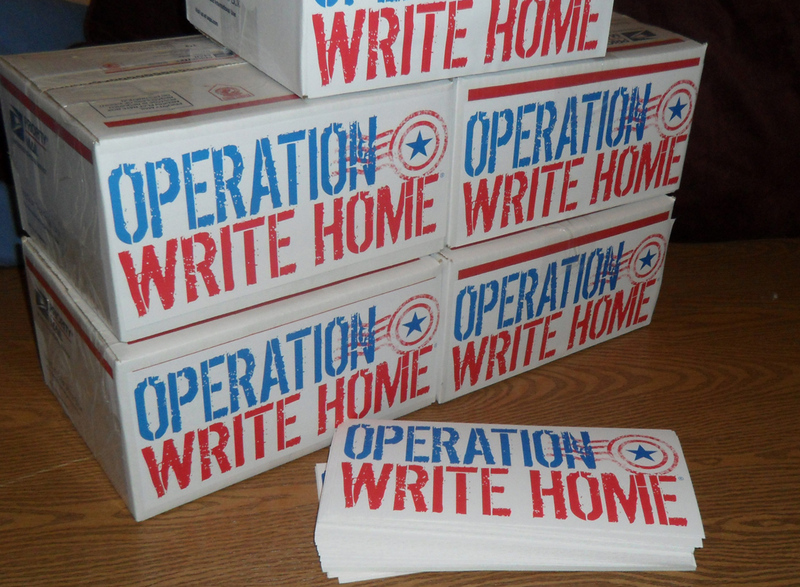 YD:I have made over 100 cards a month for Operation Write Home since May—900+ cards. My goal is simply to send a box each month, with no set quantity. So if I make less than 100 I’m fine with that. My one card, plus someone else’s and someone else’s added up to 450,000 cards just this year! HF: How much time do you spend making them? ahead of time and pull them out when I’m ready to craft. HF: Where do you get your inspirations for the cards? YD: Everywhere! 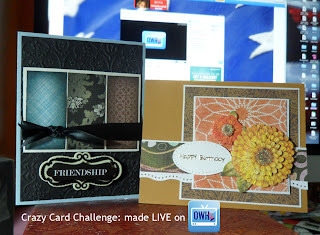 I get a lot of inspiration from different challenge blogs and from Operation Write Home’s very active Facebook page. HF: What types of materials do you use? 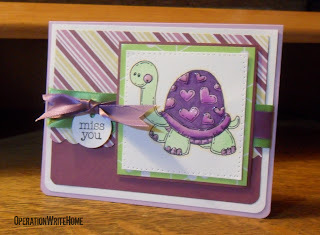 YD: I use a lot of rubber stamps, designer papers and cardstock, A2 envelopes, tape runner, trimmer and assorted embellishments such as stick- ers and buttons. HF: When you are finished making them, how do you distribute them? HF: What final thoughts would you like add? 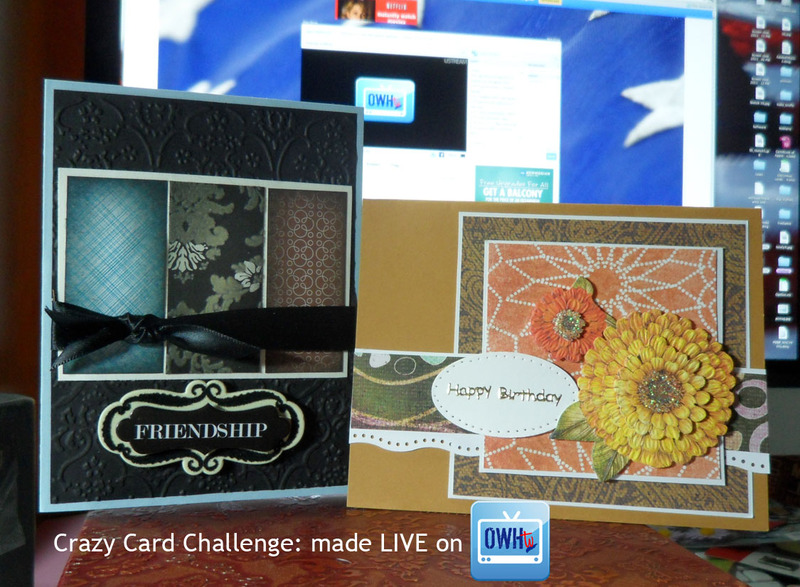 YD: Operation Write Home card makers are a vibrant and welcoming online community that honors our military and encourages their families. Our troops deserve our thanks for the sacrifices they make for our country, the inconveniences they endure and most of all for their willingness to put their lives in danger for the sake of our nation. It’s a little thing I can do to make their load lighter and help keep their families strong dur- ing the lengthy separations they face. Kids’ notes are especially encouraging! If you would like to donate materials please contact me here at heather@quillsongs.com. 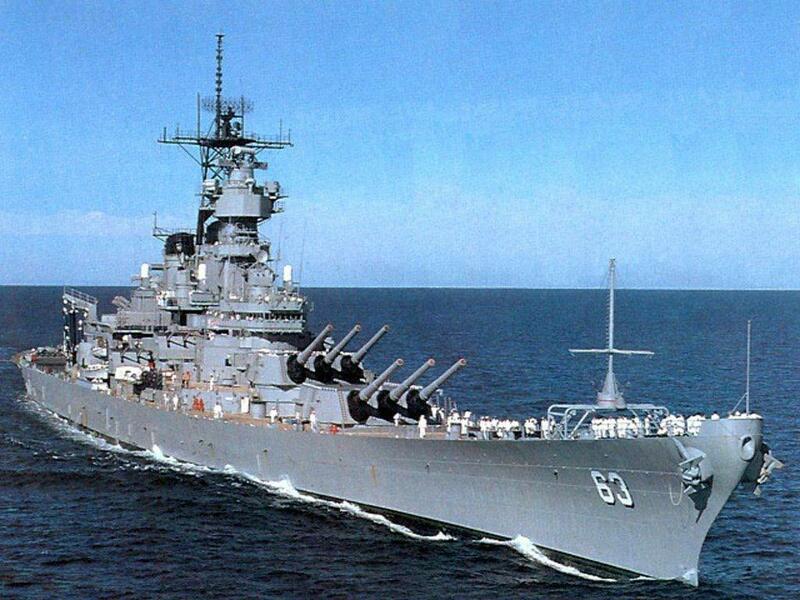 *This address is for Yolanda collecting from her community. Please continue to send your cards to our shippers, thanks. Happy Valentines Day! Did you see all the photos of the cookies and cards from our Valentines challenge with Archway Cookies yesterday? What fun to know that not only did we get so many valentines - we were helping to get some sweets out to our heroes too! Here are a few reminders - we've got so much going on at OWH, we want to be sure you don't miss out! Bloghop signups started this weekend! Did you get your receipt for 2010? Email if not! Seminar participants, read this note! 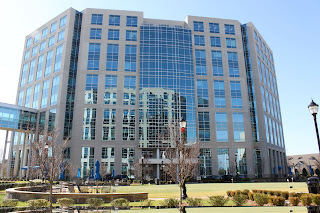 Blog skip - check it out! This week 9475 cards were mailed out - at a cost of $362.60! Many thanks to everyone who has donated to keep these weekly costs covered! 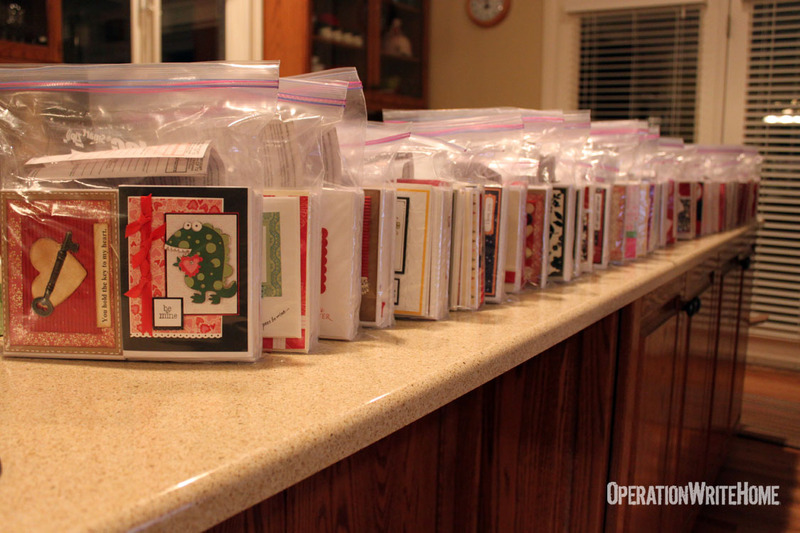 Do you remember our challenge back in the fall, gathering 8912 Valentines to go along with thousands of cookies? Here are photos of the cookie landings across Afghanistan and Iraq! And we're hearing from family members on Facebook that the Valentines are making their way back home...hooah! Packs of 50 valentines to go in each box of Archway cookies! 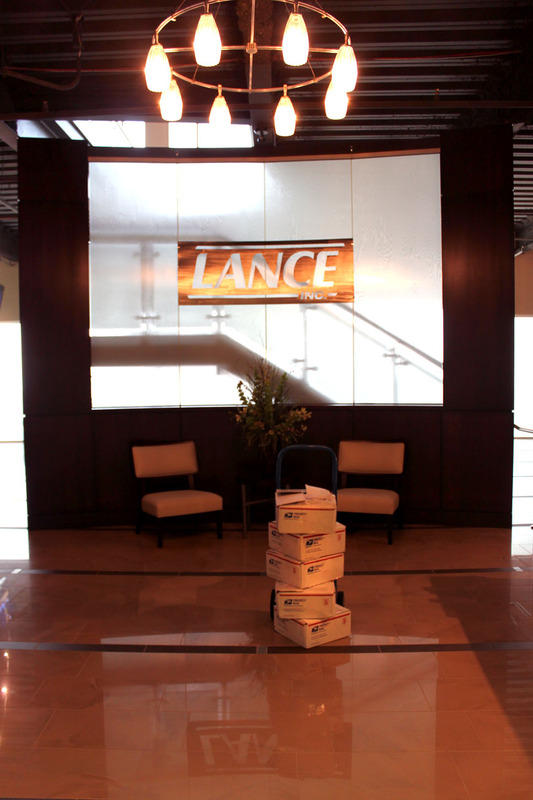 Thank you for the boxes of Valentine’s Day cards! 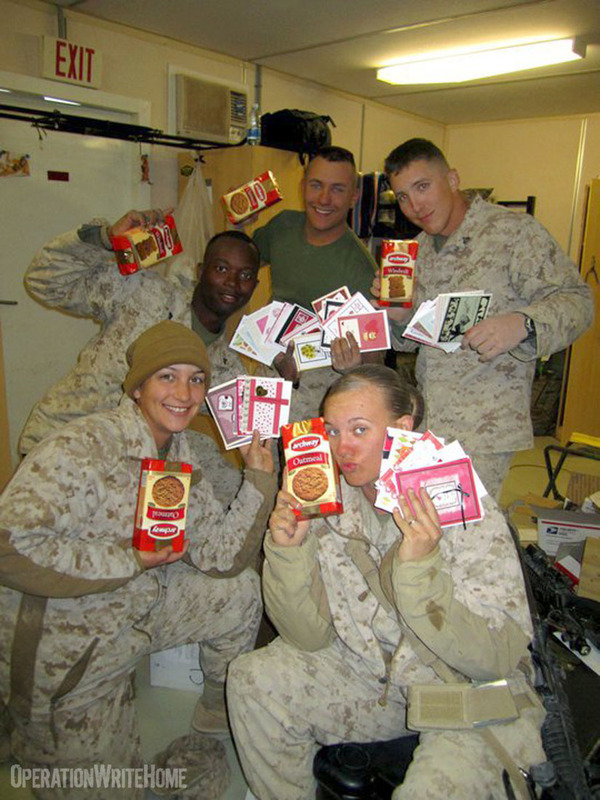 We also received your box of cookies – everyone enjoyed these cookies! 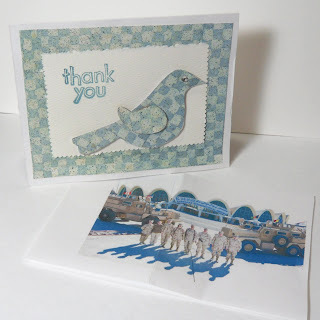 Thank you for continuing to provide us with the beautiful handmade cards. We hope you have a wonderful holiday season! Happy New Year! I received the cookies but they went so fast I didn't have time to get my camera out! THANK SO MUCH......we appreciate the cards and cookies! Thank you so much for the new box of cards. I get so many wonderful comments on how beautiful and thoughtful each card is. You all do amazing work! We also received the Valentine's Day cards and a box full of cookies, what a nice surprise! I hope you had a great holiday. Thanks again for your support! 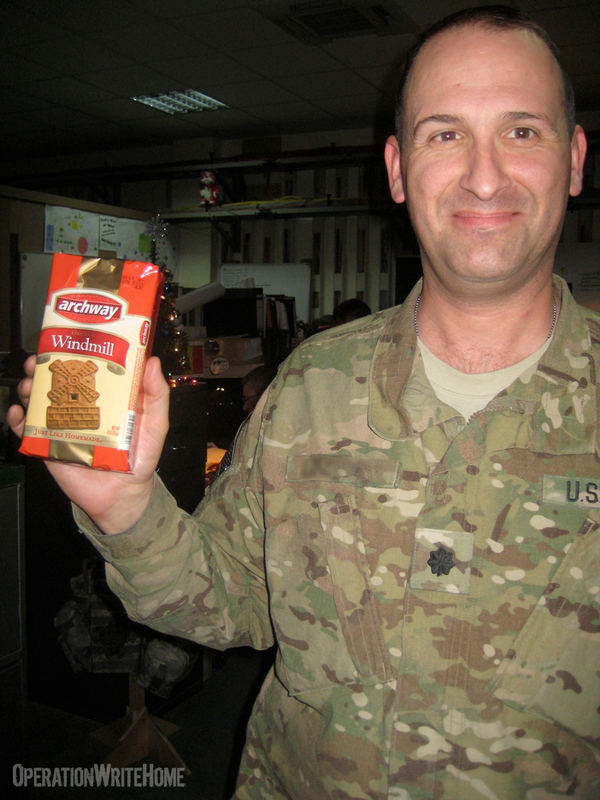 Once again, many thanks to Archway Cookies for joining us in supporting our heroes! 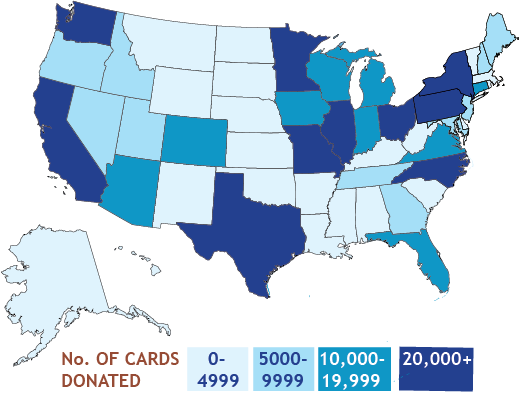 This week 7210 cards were mailed out - at a cost of $291.85! "But I thought I already saw boxes with OWH on them?" you ask. Yes, we've labeled them, but our shippers have had to use ink and paper and tape - these are self-adhesive labels we've just had printed! Lots of labor-and-cost savings. Hooah! Feb 10 - St Patricks THIS WEEK! Hurry! 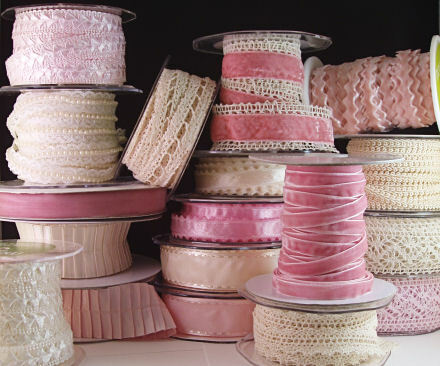 We're so excited to share this with you all....if you're a ribbonaholic, and we know there are a few of you out there....Sharon at The Stamp Simply Ribbon Store is offering OWHers a 15% discount on ribbon by the spool throughout February!!! Note that the store is on a blog; items can be seen in individual blog posts and on pages accessed by tabs above the blog header (to see all ribbon in one place, click here). All ribbon by the spool will be at 15% off the price listed for OWHers. To place an order, email Sharon at ssj@up.net with a list of items wanted. Important: to get the discount, in the SUBJECT LINE OF THE EMAIL, type OWH ORDER FEB 2011. Please also provide your city/state (and country if you're not in the U.S.) to allow for shipping calculations. This week our shippers received and processed 6,095 cards - many thanks to you all! We can use LOTS more for all the waiting units...so if you've got cardmaking friends that haven't yet heard about our heroes' needs - this is a great time to send out some emails and invite them to join us! Note: We're emailing receipts for each donation right away now, instead of just an email saying your cards arrived. Not getting that email? Send an email to your shipper and confirm your email address! 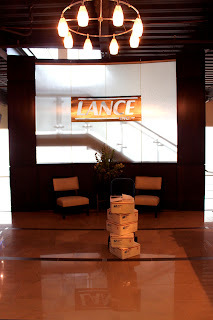 We've also already sent out 2010 year-end total receipts; email us if you did not get yours. 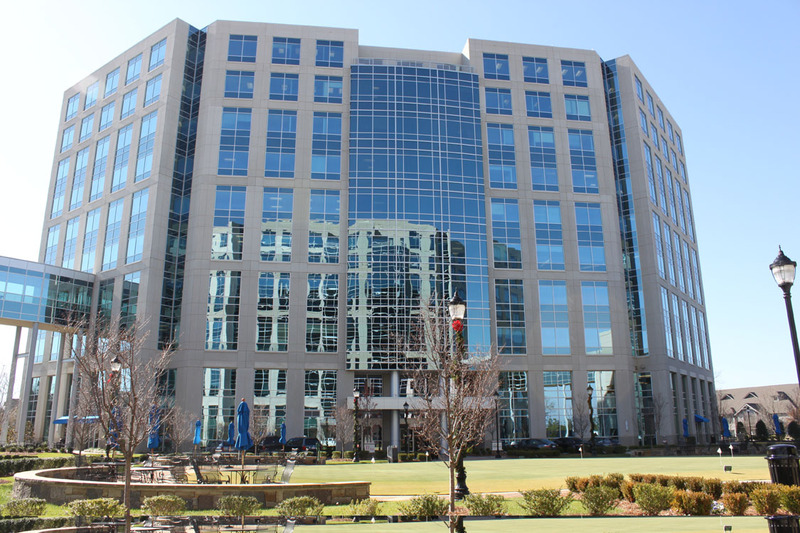 Did you see our brand-new Annual Review page of our website, available in the "About us" section? There's a great new video, downloadable pdf, and infographic - lots of great info! Many of you like to keep track of your state's rank year by year......here's the breakdown! 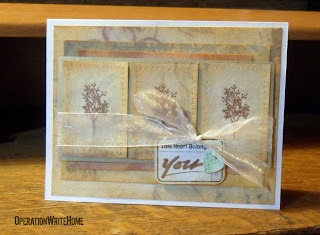 Go find more cardmakers in your area and raise your ranking in 2011! Check out where your state was last year! International stampers sent in 2,570 cards!